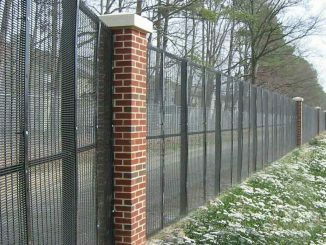 Security fencing is a necessary fact of life in most areas. The good news is that it doesn’t have to look ugly, but can enhance the look of your home and property rather like the frame of a beautiful picture. There are many different types of security fencing that will keep your home and property safe while still offering aesthetic value. No worries about theft. You won’t have to worry about a burglar sneaking in while you are away and taking your valuable assets or wrecking your home. When you have secure fencing your insurance premiums could very well come down. Even car insurance is likely to be less when it becomes known that you don’t have to park out on the street. These days you never know where vandals will pop up. Whether it is graffiti sprayed on walls, windows smashed or destruction of plants and garden furniture, you won’t have to worry about a thing once your fence is up. Home invasion. Terrifying and dangerous, no one wants to suffer from a home invasion. Your security fence means that you won’t have to worry about this problem of modern living.